Tonight’s dinner was supposed to be lentil soup. I gave away a bag of lentils to our local food drive thinking that I had another. I always have plenty of lentils on hand! But, no. Switching gears I took the vegetables and leftover turkey sausage I was going to use in the soup added an egg and some Asian seasonings and the rest of the brown rice from last week, and, voila! A version of Pork Fried Rice! 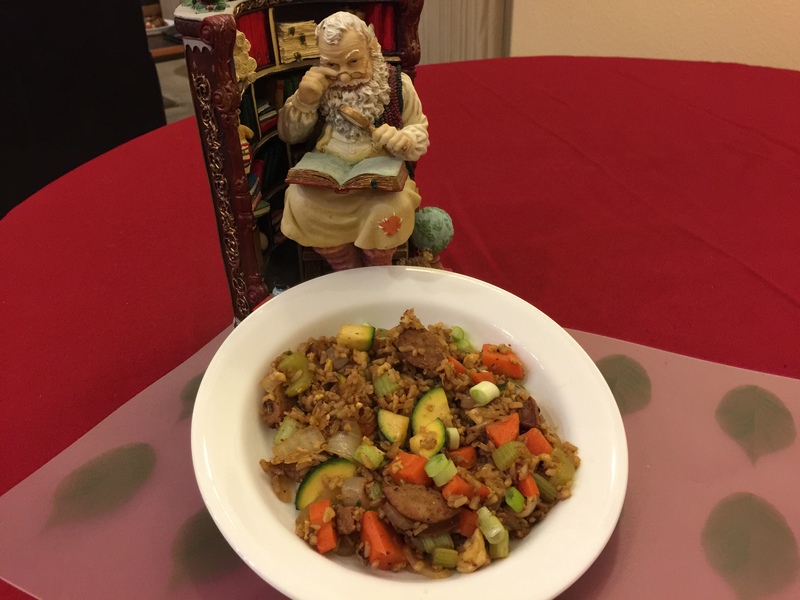 This entry was posted in Eggs, leftovers, Poultry, rice, Vegetables and tagged brown rice, turkey sausage, Vegetables. Bookmark the permalink.